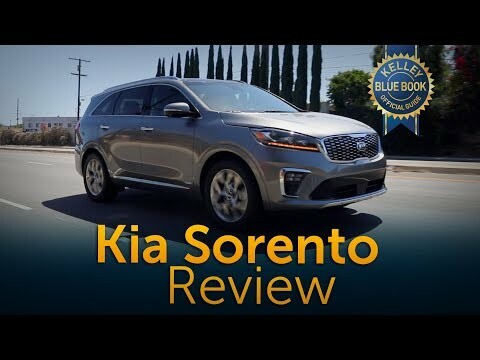 The 2019 Sorento is Kia's entry in the popular midsize-SUV category, where it competes with roughly a dozen rivals like the Honda Pilot and Toyota Highlander. The Sorento is slightly smaller than competitors, but it's also less expensive. Highlights include standard 3-row seating, a strong V6 option, ample amenities and a terrific warranty. Kia Sorento pros and cons. It has a small amount of window noise, in the lx there is no XM compatibility unless you get a separate XM screen. It has, great gas, mileage, and is easy to maneuver and park. The inside is very roomy and the, third row is great. I love apple carplay app and I love the warranty that comes with Kias. It does not come with leather and my only option was black interior which shows everything. I would like a gray or tan interior with my model if it was a choice. Kia Sedona 2019 is definitely a vehicle fit for us. The Kia Sorento is very comfortable to ride in. Good for long and short trips. Great size and love the color. Easy for my handicapped family members to get in and out. We have only had one issue. We just purchased our Kia in July. Our back up camera had water in the lens. Easy repair at the dealership. I love the CarPlay but do miss satellite radio. Our vehicle did not come with this feature. . The blind spot detection is awesome. Keeps the family safe. No problems with the Kia at all. We just got it a few months ago, and I absolutely love it. I opted for the 4-cylinder because it gets better gas mileage, and I average about 25-28 mpg. Which for an SUV is fantastic! The back up camera is so clear and I love being having the detection lights for my blind spots.